Amelia Llewellyn had a wonderful childhood, but when she lost her beloved Mama to illness as a girl her life changed beyond recognition. 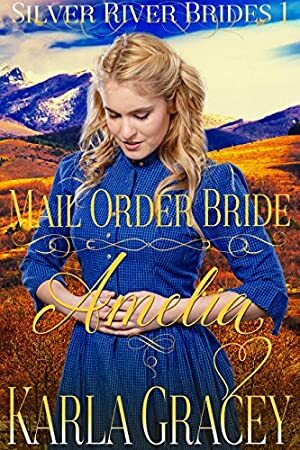 All but bringing up her half brother while her Papa and his new bride travel, she wants so much more for her life than she now has. But how can she change her life, and will she have the courage to follow through with her plans? Meet Byron Gilbert who tried to stake a claim to some land and was unable to keep it running, but fell in love with the rugged landscape and Silver River. Bad guys need to be beware, because he is a Sheriff with brains and determination, and always gets his man. But will he ever be able to let himself accept the love he so desperately desires? We started tracking this book on August 5, 2016. The price of this book has changed 3 times in the past 992 days. The current price of this book is FREE last checked 12 minutes ago. The lowest price to date was FREE last reached on August 28, 2017. The highest price to date was $0.99 last reached on June 26, 2017. We last verified the price of this book about 12 minutes ago. At that time, the price was $0.00. This price is subject to change. The price displayed on the Amazon.com website at the time of purchase is the price you will pay for this book. Please confirm the price before making any purchases.